When you get right down to technology, Sai Krishna VK, is a builder, entrepreneur and a tech geek. He is what the text book calls as an “accidental entrepreneur”. As a technology guy, he found himself constantly drawn towards building things and believes in the empowering nature of technology. Since then he has had the chance to play roles of value at multiple start ups, endear through business school courses and currently being the founder of “SCAPIC”. Hi!, I am Sai Krishna VK, founder of “Scapic”. 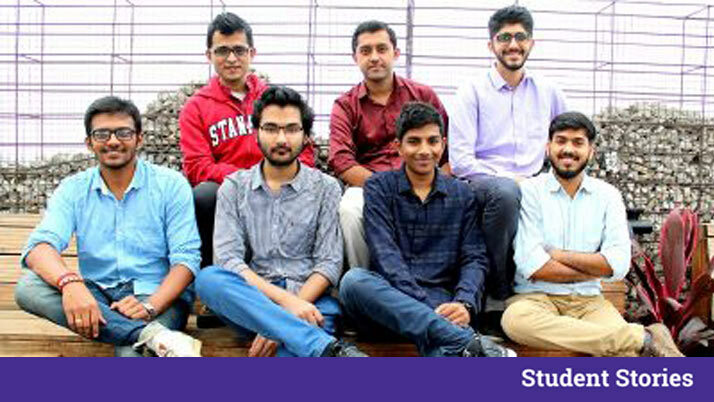 My journey began during my undergraduate days in Bangalore, where I previously founded ventures in the fields of education technology and Artificial Intelligence. “Scapic”, is built on two technologies, Augmented Reality and Virtual Reality. At “Scapic”, we often say, VR can bring you anywhere and AR can bring anything to you. In context, making them seem like they are with you. This can happen by wearing a headset, or in a more limited way by looking through the viewfinder of your smartphone. We are trying to make AR/VR experiences as simple as writing a blog. 3) You had previously started an edtech startup, what is it all about ? My tryst with entrepreneurship began during my college days. My first venture was called “Aeriem“. We made and distributed Learning Management Solutions (LMS ) for institutes to utilize digital course ware maintenance. The product was rolled out to thousands of students across Karnataka. 4) How was “Scapic” conceptualised ? “Scapic”, really started out as a problem we all faced in the team. As discussions were carried on we pondered over the question; “What if computers were not limited to the screen they have?” This led our entry into Virtual and Augmented reality. We then discovered that the technical skill set required in the field was incredibly high and limiting. 5) Tell us about the business model implemented. “Scapic”, is one of the first AR/VR/MR tools to be entirely built on cloud. It is a straight forward SaaS with two tiers. Scapic Free: for end users, free of charge to get started with creating AR/VR experiences. Scapic Pro: meant for business/enterprise. It has additional features like privacy controls, additional bells, whistles and more. 6) What is your take on the future scope of “Scapic” ? When content matters, “Scapic”, would be the heart of content creation wave. At “Scapic”, the team is exceptionally young with 10 members and the average age is lesser than 24 years. We have a very talented hacker and the Silicon Valley driven DNA in the team. This keeps the enthusiasm about the big vision strong. Poetry That Leaves You Mesmerised! Meet Cipun Mishra Who’s Painting The World Red With His Wonderful Poetry !